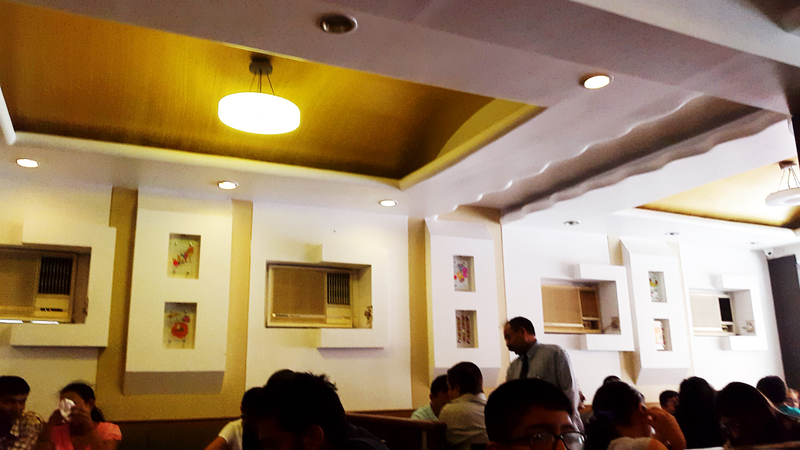 Shiv Sagar is every veggie’s delight. The location of this restaurant is what makes you come here for more. It is bang opposite the famous Juhu beach. 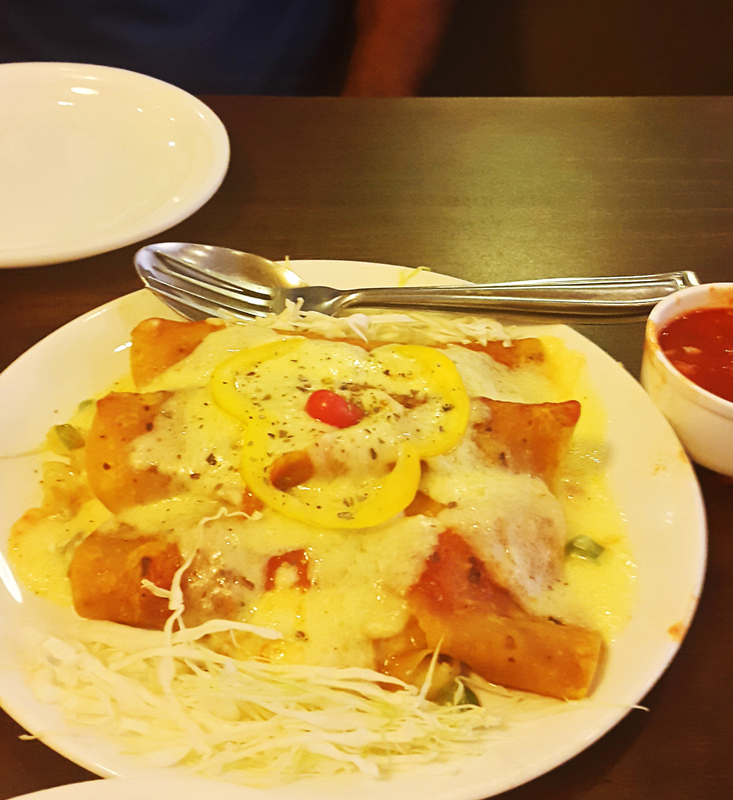 I’ve been a regular at Shiv Sagar since more than a decade and I still enjoy the same routine – fill my tummy with the veg delicacies served here followed by a mighty walk at the Juhu beach. They have a vast menu comprising of South Indian, Chinese, Mexican, Continental and Italian and an array of juices and desserts. Shiv Sagar’s “Pav bhaji” is the famous of all. Its a legend. Even chaats, sandwiches, burgers, pizzas and pastas are all there. You will always find the place crowded. But their quick service ensures you aren’t kept waiting for more than 10 minutes. The ambience is warm and seating accommodates from a couple to a family of six or more. My every order has to have the legendary Pav-bhaji in it. I’ve also tasted the Butter Idli with sweet dahi, i.e, curds and I absolutely loved it. I also love their Cheese Masala Dosa, Tawa Pulao. For drinks, I always go for Cold Coffee or Strawberry Milk Shake. Sweet Lime Soda is very refreshing. During this visit, I decided to cheat the Indian menu with the Mexican. So this time it was Mushroom Beans Enchiladas and Spinach Lasagna. I ordered them one after the other. Reason – This was the first time I tried something different in this restaurant. So I wanted to take my own sweet time to savour each of them. First came the Mushroom Beans Enchiladas which had a tangy flavour. It is pieces of tortillas with mushrooms, beans, sweet corn topped with three different cheeses and served with salsa dip. 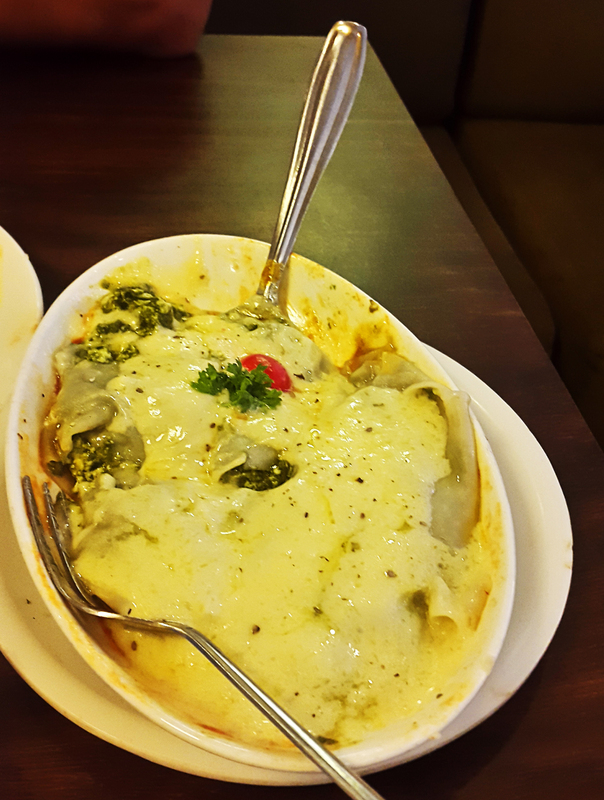 Spinach lasagna is again a cheesy delight. Soft wanton coated with 3 cheeses and a mixture of spinach and paneer i.e., cottage cheese in white sauce underneath. I absolutely loved it. Every bite was sinful! The pictures are mouth-watering, aren’t they? So were the dishes. I absolutely nailed it with my new order. Finger-licking good!!! As usual, there was a desperate need for a walk on the beach after this yummilicious meal.